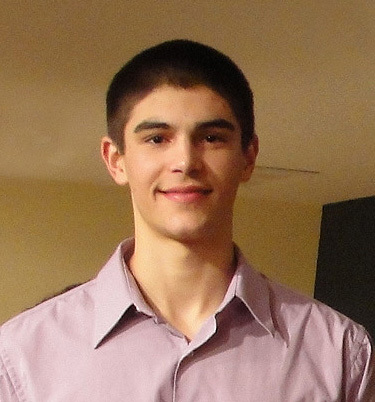 Christopher Carloni is a senior at Greendale High School. He was a Civic Music Private Lesson Scholarship winner in 2008 as a fifth grader, and currently studies string bass with John Babbitt. A member of the Milwaukee Youth Symphony Orchestra (MYSO), Christopher was the MYSO Philharmonia Orchestra Bass Section leader in his freshman year, and has been principal bass player of the MYSO Senior Symphony since 2012. At Greendale High School he plays in the orchestra, jazz ensemble and the pit orchestra for the musical. Christopher is a five-year member of the WSMA State Honors Orchestra program. He was selected to be the High School State Honors Orchestra bass section leader in both 2012 and 2014. In spring of 2014 Christopher was recognized by the National Federation of Music Clubs as the third place finisher for the Mary Alice Cox Award which is open to both cello and bass players. In June of 2014, Christopher auditioned for one of ten full-tuition scholarships to be used at either UW-Madison or UW-Milwaukee offered to UW-Madison music camp participants that have just completed their junior year. He finished as the second alternate. When he is not playing bass, Christopher is a starter on the Greendale varsity basketball team. He also earned his varsity letter as a pitcher for the Greendale baseball team. 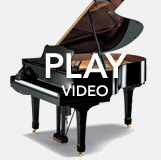 Christopher was a 2014 Civic Music Association High School Showcase Finalist and Young Artist Scholarship Winner. 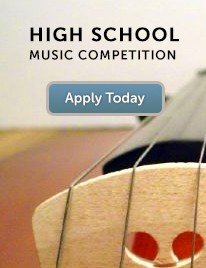 Download the High School Music Competition application.